Outdoor kitchens have become one of the most popular items in home building. The same options can be taken from an indoor kitchen and placed in an outdoor kitchen. For instance, refrigerators, grills, and cabinets can be purchased. However, everything has to be waterproofed. A barbecue grill is the most basic item for an outdoor kitchen. There are a few options when it comes to an outdoor grill. Prefab, semi-custom, or customized can be chosen. A fireplace is great choice. This can be transformed easily into a place outside to cook. 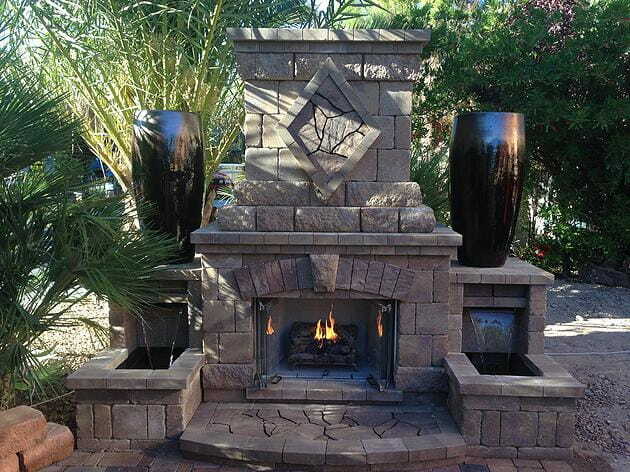 An outdoor fireplace really adds to the outdoor room feeling. There are fire pits that can be included in an outdoor kitchen as well. It is more casual than a fireplace. Skewers and rotisserie can be cooked over an open flame. Grilling can be done over a fire pit as well. An outdoor oven can also be included in an outdoor kitchen. Sometimes it is considered to be a traditional oven. Brick ovens or stone pizza ovens are examples of these types of ovens. Countertops and storage cabinets can be included as well. The two options that can be selected are stone and brick. An eat-on counter can be used to eat on. It needs to at 15 inches deep and approximately 24 inches wide per person. When it comes to an outdoor kitchen, the storage cabinets need to be waterproofed. There are many woods that will not rot. This includes redwood. Stainless steel is another great option for cabinets. It can match a grill. There also needs to be a sink included. Outdoor sinks are fed with a hose or connected to the home’s water supply. Stainless steel or ceramic is good choice for an outdoor sink. An outdoor kitchen can be sheltered from the elements. The outdoor kitchen area can have a shelter. It is not recommended to have a ceiling or shelter over the grill area because of all the smoke. This is very important to consider. Try to avid flooring that is slick. This eliminates marble and tile.